I have been in the landscape business since 1980. 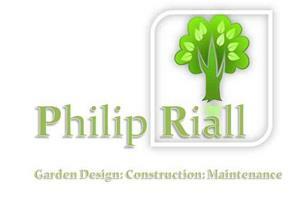 Offering a complete landscape gardening and garden design service. I take you through the design and then the construction process and most importantly help you keep your new garden looking its best for many years to come. Our specialty is creating contemporary looking gardens and constantly innovate with new materials and design methods. We regularly work in areas around Chiswick, Kew, Richmond, Twickenham, Isleworth, Putney, New Malden and all points in between ! I really do have a love and passion for what I do and continue to research interesting and exciting gardens to provide inspiration and originality in my designs– e.g RHS Wisley, The Lost Gardens Of Heligan, Hidcote Manor, Villa D'Este and Chateau Villandry & many other Loire Valley Chateaux as well as being a regular visitor to RHS shows. He does all the hard work !